Q: Why does Harrison’s contain SOY and is it bad for my bird? Does SOY cause hormone stimulation in birds? A: Negative press about soy (soybeans) is another classic example of anonymous claims from internet sources that must be taken with a grain of salt. For starters, Harrison’s formulas are steadily reviewed by PhD avian nutritionists. This practice of review has been in place for almost 30 years. 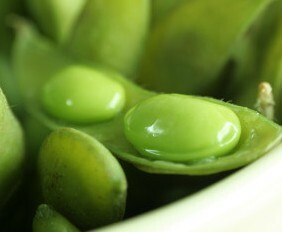 Many products being challenged for their use of soy actually use soybean by-products, which are made with soy oil or soybean oil meal from a chemical extraction technique using hexane. Hexane was formerly used as a cleaning agent for removing grease in the printing industry as well as a solvent for rubber cement, but now it’s showing up in many so-called “natural” and even “made with organic” soy foods. Even this inferior soy source has not been proven harmful. The digestive system of a bird functions in a way different from ours. They can tolerate foods we can’t; we can tolerate foods that would make them ill. We do know there are many beneficial effects for birds from consuming soy products; the negatives are much more a speculation. At the 2nd International Symposium on Pet Bird Nutrition in Hannover in 2007, we at Harrison’s discussed this with our current nutritionist, Dr. Kirk Klasing of the University of California Davis. He is studying the feeding of soybeans as they are normally raised and those that are genetically modified to produce phytoestrogens (specifically genistein), which are used by the pharmacological industry. This latter soybean has a thousand times the phytoestrogen content of regular soybeans. Dr Klasing has found no indication that even this high level has any effect whatsoever. His research subjects are finches, which have the highest metabolism rate and would show problems the soonest. His co-researchers have also set up flocks of finches for breeding, which starts at less than one year of age, and have not seen any effects on fertility, hatchability, chick maturation or illness. Harrison’s has been fed to the leading breeding facilities in the world for almost 30 years, and the egg-laying, hatching and survivability have always been excellent. In fact, Harrison’s was developed to solve breeding problems in hyacinth macaws (i.e., no eggs, infertile eggs, eggs that had to be incubated to hatch, weak hatchlings that needed assistance to hatch, rejection by parents so the chicks had to be hand fed). There was a 1970’s lawsuit in New Zealand claiming rosellas were maturing early due to being fed soy, and that some even died. The claimant had millions to spend on the case, whereas the new USA pellet manufacturer did not, and the case “appeared” to prove soy was the problem. It did not. Veterinarians familiar with the case said the birds were infected with one of the first cases of circovirus in rosellas. The manufacturer has continued to use his original formulas that have been used for over 30 years at the U of California cockatiel research flock without incident. The claimant has saturated the internet for these 30 years with the weakest of claims, all based on poor empirical observations. There is a failure by claimants to conclusively prove that feeding products that contain soy are unhealthy. And again, processed soy is a very different product from raw soy. The soy in Harrison’s Bird Foods is whole, organic, rolled and toasted. That is because our mentor was John Stoodley, who used whole organic soybeans in his famous formulas. John’s breeding results are unparalleled in seed-eating birds. He kept impeccable records. Most aviculturists do not. So there is no honest way to compare diets. Another exception is Eric Von Kooten, who has the only peer-reviewed comparison of traditional aviculture diets to Harrison’s. The study was on the members contributing to the Ruppel’s parrot stud book. His summary: “The conclusion is justified that the use of HBF (Harrison’s Bird Foods) is definitely worth the extra costs when compared to the use of traditional feed. Next to the benefits mentioned previously, such as a larger number of young birds, fewer dead birds, healthier birds, faster independence of young birds and fewer ill birds, other aspects have not been mentioned. Among others, the most important are that we experienced a major improvement in behavior since the introduction of HBF as well as a remarkable change in color of the feathers. Dr. Klasing has chosen Harrison’s to be the food used for the extremely endangered kakapo in New Zealand. Please review the Iowa State University College of Agriculture and Life Sciences magazine Stories in Agriculture and Life Sciences Fall 2008 which can be downloaded at http://www.ag.iastate.edu/stories/archives/2008fall see page 21 (19 in the PDF) entitled Soy Isoflavones May Offer Health Benefits – based on science rather than speculation. Hormone stimulation comes from many other causes, in my experience. Plastics and pesticides are some of the worst. We have never seen it from soy. Feeding warm foods, rich table foods, fruit high in sugar, sweet corn, high oil items (nuts, sunflower seeds), hand feeding and stroking are the main causes of hormone stimulation, in my practical experience. Finally, the poor health resulting from feeding seeds and tablefood, still being promoted by well meaning but misinformed bird owners, is and always has been the most dangerous preventable cause of suffering in birds. For decades we were taught birds “hide their symptoms.” A leading seed mix company shows a photo of their blue and gold macaw as if it was healthy. The photo shows the tattered wing feathers so often seen in birds eating seed-based diets. A better photo with emphasis on beak, nails, foot patterns and feather color would show that this bird is not on a balanced diet. That bird is suffering, in my opinion.